What do patients really want from a support program? Consumerism and patient empowerment are driving change in patient support programs. When you know what patients are looking for by effectively measuring their thoughts on current and potential new service offerings, you can focus your efforts on patient-centric offerings. 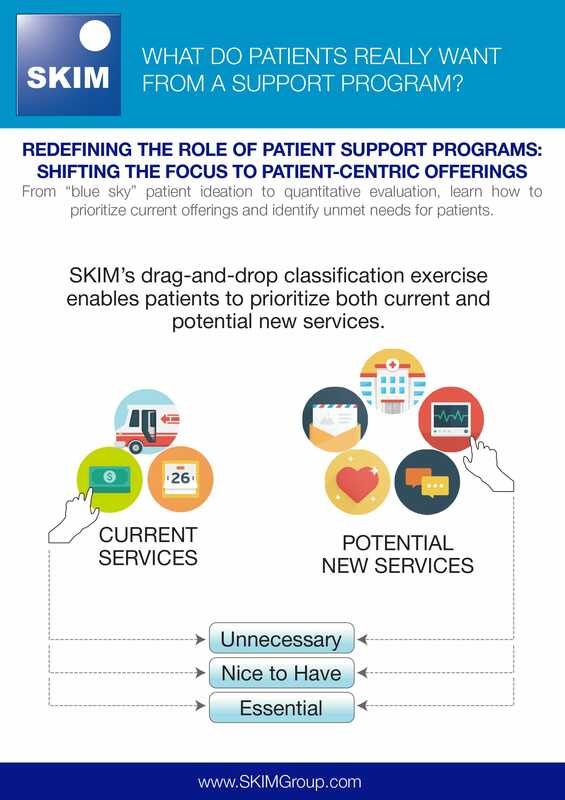 In this infographic, we show you how our drag-and-drop exercise allows patients to easily prioritize these service offerings.